The first Rwanda Treasury Bond rolled out this month has been oversubscribed with retailers showing the largest appetite in applications for the lion’s share. 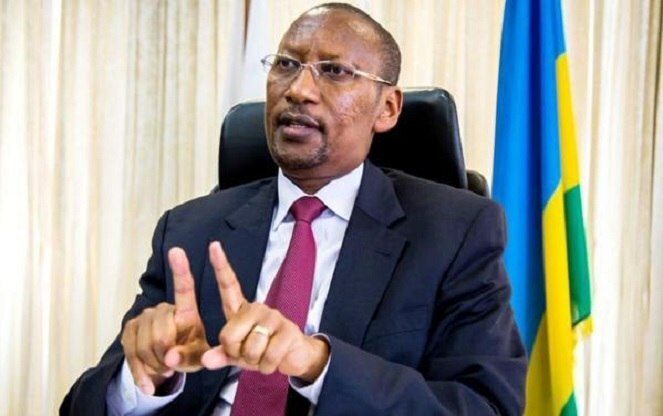 The issuance has been successful with a very high subscription level of 263 percent from 107 applications from different categories of investors,” Rwanda Central Bank said in a statement released on Thursday. The Government officially opened doors on February 19, for investors to buy its 5-year treasury bond worth Rwf15billion – which will be mainly invested in infrastructure development in the next seven years. The application process saw 80percent of the retailers enrolling for the bonds, while institution investor had 20 percent and Banks sought only 7 percent of the shares. In the final allotment, government allocated retailers with 12.3 percent of the total issued amount, while institutional investors got 41.0 percent and banks walked away with 46.7 percent. Government said that the payment of the bond coupon will be paid semi-annually and listed on the Rwanda Stock Exchange (RSE) next week on February 27, 2018. This February T-Bond will be followed by another 7-Year T-Bond in May, with a price yet to be made public. In November last year government also rolled out a 7-year treasury bond worth Rwf10 billion which was also oversubscribed by 178.14% percent in which retailers got a lesser share compared to the February 2018 bond. In the final allotment of the November 2017 bond, retailers got 10.1% of the total amount of bonds issued, institutional investors got the lion share at 64.4 percent, while banks were allotted 25.5 percent of the bonds. Where is Rwanda coming from? Since 2008 government has tabled 23 treasury bonds ranging from two to seven years, worth over Rwf213.5 billion (minus the Eurobond) and collected Rwf211.7 billion of which Rwf17 billion remain unpaid. RSE statistics show the Market capitalization stands at $3.3 billion or 40 percent of Rwanda’s Gross domestic Product (GDP) with over Rwf500 billion exchanged hands and at least 17000 investors have been solicited in the period since the establishment of RSE ten years ago. Rwanda stocks is now focusing on bringing on board small and medium business to list their shares after the capital markets authority relaxed requirements to as low as Rwf50 million. So far as the campaign goes on, RSE has signed a memorandum with the Private Sector Federation which will enhance the outreach to investments with money to invest on the bourse. So far, at least 10 local organizations drawn from different sectors such as manufacturing, agri-business and ICT; formally registered for listing on the newly established SMEs stocks forum. In the meantime, on Friday, February 23rd, the local stocks and all shares indices remained constant to close at 132.13 and 133.02 respectively, after Bank of Kigali getting a low performance dropping five francs further along the way, as from the previous day’s trading.